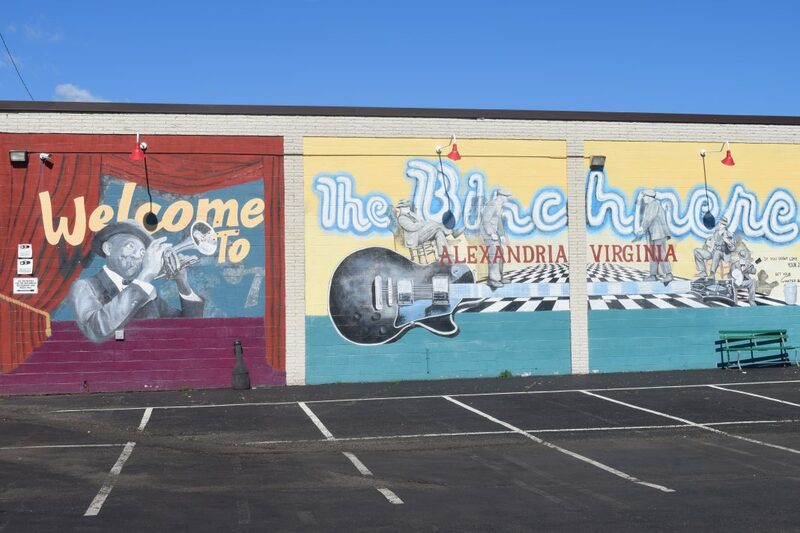 The Birchmere may’ve expanded to a larger location in Alexandria, but its music-first legacy lives on. Their new spot has two rooms: the Flex Stage with a 1000-person standing capacity and The Music Hall that seats 500. The latter is a “Listening Room,” Dave Beebe tells ToneDen, in keeping with owner Gary Oelze’s request for silence during performances. Even legends need a leg up. When you’re routinely making Pollstar lists, the quality of your digital marketing has to match the quality of your club. That’s why, in The Birchmere’s 52nd year, Beebe turned to ToneDen. Exterior of The Birchmere’s third home in Alexandria, VA.
Beebe has a to-do list that would have another person’s head spinning. A typical day begins in the booking office, where Beebe assesses ads, checking in with Facebook. Next he switches to the lighting, setting up for the day’s shows. Don’t look for any down time in Beebe’s schedule. 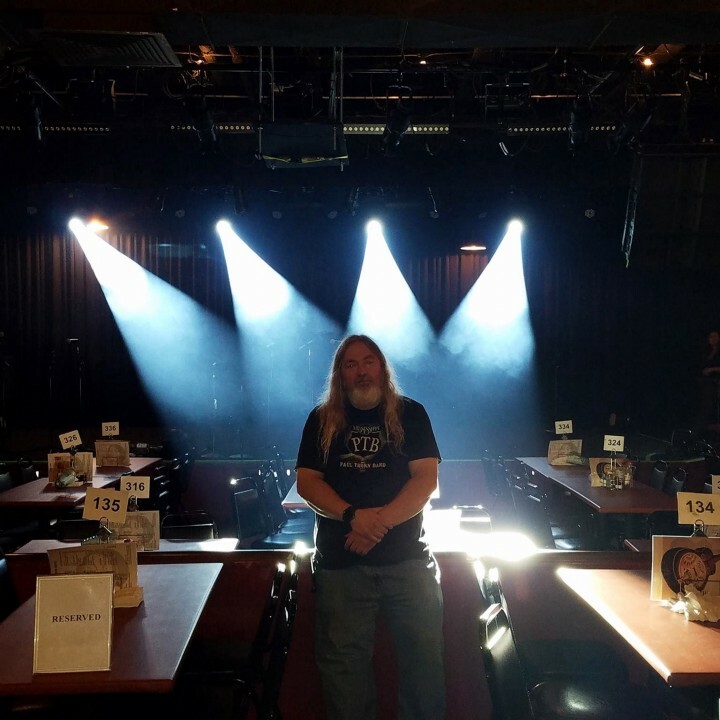 “Any time I’m not physically doing anything, I’m on my laptop, setting up an ad, doing a graphic, checking and responding to Tweets, reading message boards and websites for Social Media and lighting and sound.” During the show, Beebe shoots photos and posts them on social media; after, he breaks down it all down before heading home. 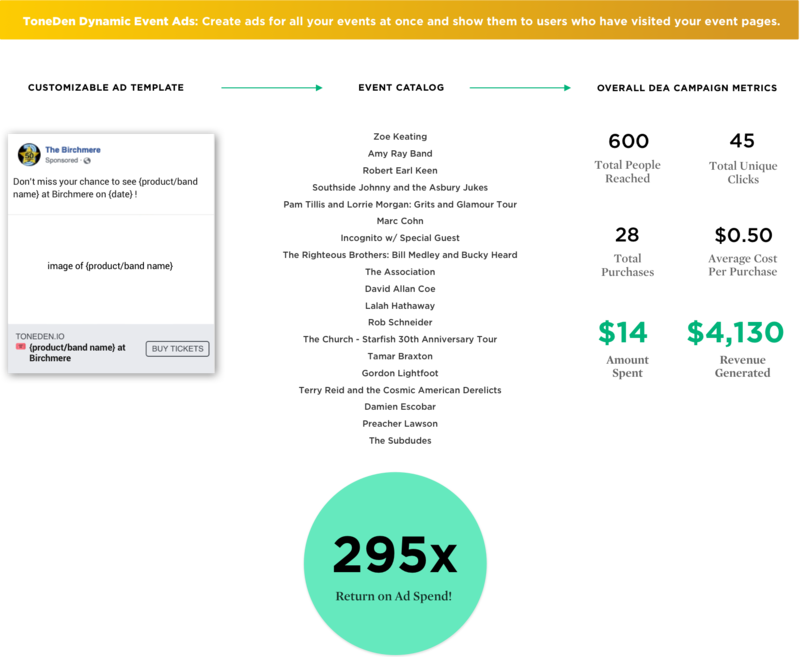 That’s why DEAs, or Dynamic Event Ads, have been such a hit at The Birchmere. With a single campaign, Beebe can market an entire calendar of events, drawn from the club’s Ticketmaster catalogue. 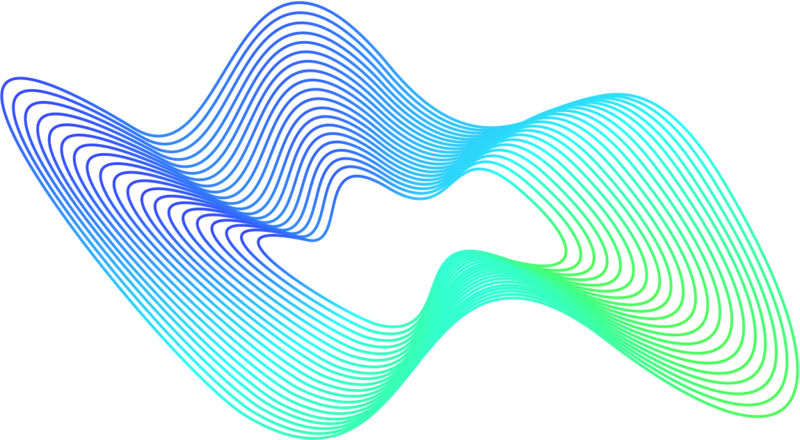 The event on which a visitor clicks determines the specific ad a potential ticket-buyer sees, making questions of audience relevancy a thing of the past. “If you want to see how your ads are actually doing, what they’re doing for you, and want an easy way to advertise all of your events at once essentially, definitely use ToneDen — especially DEAs,” Beebe says. His experience with DEAs was nothing short of stellar. To advertise a lineup that included Zoe Keating, the Amy Ray Band, Robert Earl Keen, Southside Johnny and the Asbury Jukes, Pam Tillis and Lorrie Morgan’s Grits and Glamour Tour, Marc Cohn, Incognito, The Righteous Brothers, Rob Schneider, Gordon Lightfoot, and many more, Beebe spent only $14 (that’s less than The Birchmere’s epic open-faced turkey sandwich). How does The Birchmere remain not just revered but relevant after all these years? 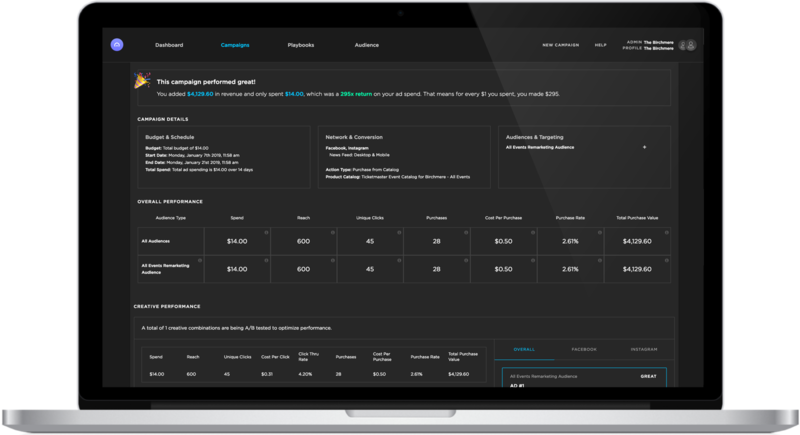 Partnering with a platform that allows them to evolve in advertising is one way. Bootstrappers and jacks-of-all-trades like Beebe have always made the music industry what it is; with ToneDen, their marketing lives become easier, allowing them to keep pursuing all those passions. Ready to make like a legend and reap the benefits of DEAs? It’s easy to get started with ToneDen.